As Chair for Austin Habitat for Humanity's Board of Directors, I am very excited about AHFH building, with its partner family, the 300th Habitat home in Austin. This is wonderful partnership between Habitat volunteers and sponsors like you. 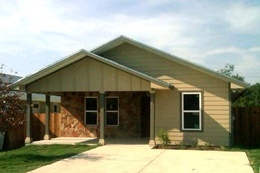 Please join our efforts and partner with this family to literary build a home and a community here in Austin. Whatever you can donate is truly appreciated. If you have any questions or are interested in working on the site, let me know.